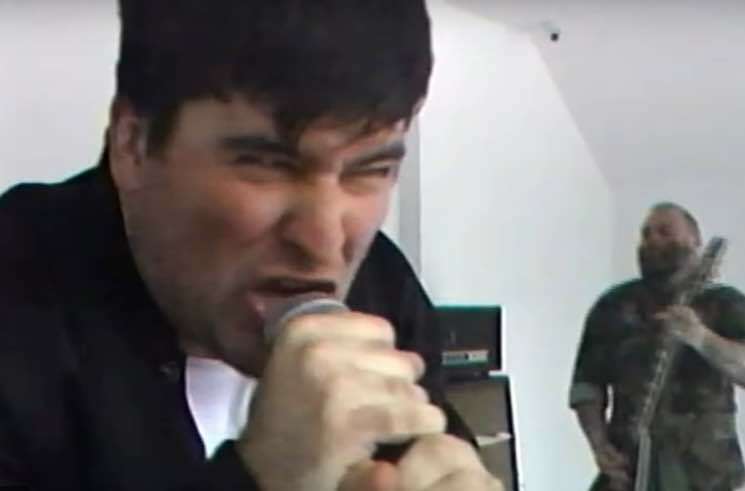 Alexisonfire surprised fans with new single "Familiar Drugs" a couple months ago, and now the track has been paired with a music video. The clip was directed by Michael Maxxis, who put the band — and one very disinterested woman — in a stark white room and filmed them using VHS tape and cellphones. It's a nod to old punk documentaries in the '70s and '80s, and that retro vibe is hammered home with plenty of static breaks in the clip. Watch the video for "Familiar Drugs" below. As previously reported, Alexisonfire will play a handful of select cities on tour this summer.